Our club is looking for someone to help setup our new Bose speaker system at our presentation meetings. You would have to show up about 30 minutes prior to our 3 monthly meetings that have presentations. Initially, help is only needed over this summer when Chuck and Tom are traveling. The speaker system is a little less than 30 lbs. and is quite easy to setup. You would also be responsible for taking it home and storing it for the next meeting. 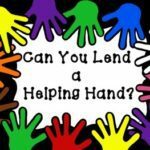 If you can lend us a hand 3 times per month, it would be greatly appreciated. If you have any questions or would like to volunteer your services, please Contact Us here or stop by at one of our meetings and talk to Tom or Chuck.